You can use the following link to apply and pay for your membership online. If you prefer, you can instead use the following link to get a printable membership form that you can mail in. Reduced registration for members. Over 80 quality program sessions on professional practices and updates. 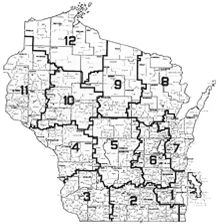 Conventions are held in different locations throughout the state. See our video from the 2016 convention. Half and full day programs are scheduled in various parts of the state with the goal of bringing continuing education opportunities directly to members in each of WHPE’s five districts. Mailed in summer, fall, and spring to keep members informed of current events, news, and updates. This is to inform the membership of the Wisconsin Health and Physical Education that the general liability policy through Houston Casualty Company will expire on June 8, 2019. After this date WHPE will no longer carry this liability policy for its membership. WHPE structure provides leadership opportunities in over 20 elected positions and committees. Student leadership opportunities exist in elected positions and at the annual workshop. A vital and growing responsibility of WHPE is to promote desirable legislation and speak for our profession on matters of state and national concern. 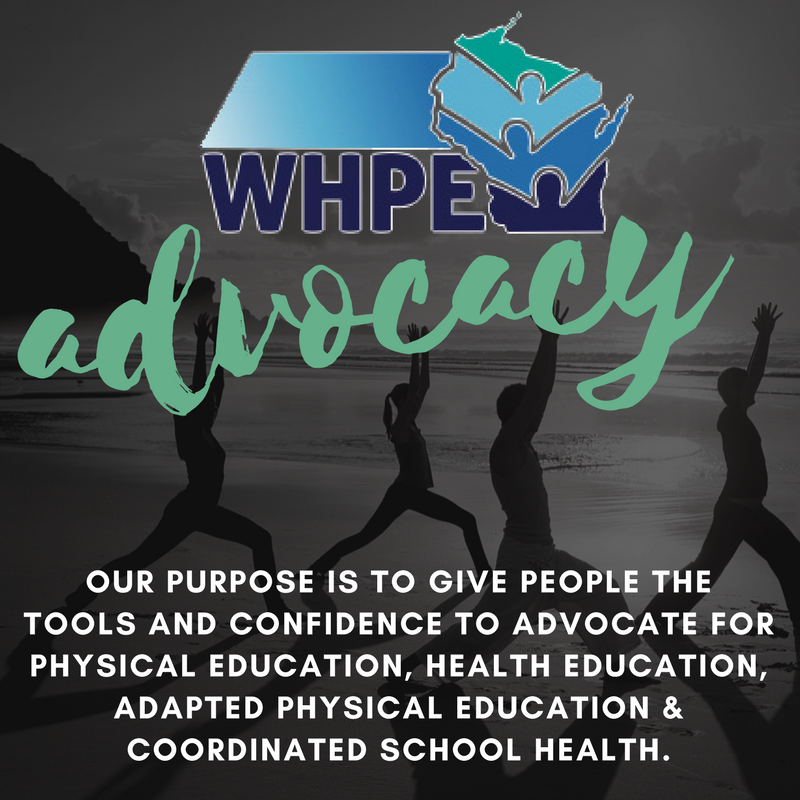 WHPE provides position papers on Comprehensive School Health Education and Quality Physical Education. WHPE is an affiliate of the Society of Health and Physical Educators (SHAPE America). National and Regional (Midwest) conferences are provided each year for SHAPE America Members. Each year thousands of dollars are awarded to individuals in public and private schools and agencies through WHPE Grants to promote fitness and heart health in the general population. See WHPE grants here. Professional members are eligible for various annual awards: Advocacy Award; Dance Teacher of the Year; Health Educator Teacher of the Year; Lifetime Award; WHPE Longevity Membership Recognition; Past President Award; Promising Professional Award; Honor Award; Retirement Recognition; Outstanding Service Award; Future Professional Leadership Award; Physical Education Teacher of the Year; Adapted Physical Education Teacher of the Year; Certificate of Appreciation; Health and/or Physical Education Coordinator of the Year. All persons professionally engaged in health education, physical education, recreation education, dance, or athletics. Professional Members shall be those who are professionally engaged in one or more aspects of health, physical education, recreation, dance, or athletics. Associate Members shall be those who are not actively engaged in our profession but who have an interest in supporting the programs of our Association. Future Professional Members shall include in-residence students attending professional educational institutions where they are preparing for careers in health, physical education or recreation. Contributing Membership available to selected commercial firms entitling them to a priority for exhibition space at the annual state convention.